MMOBomb.com and Webzen have teamed up to ring in the holidays with keys that give players a gift pack FULL of goodies in one of four different games. Players can choose to redeem their keys in C9, FLYFF, Rappelz, or MU Online. To get your code key you just need to click on the button below. Get your key now while supplies last! These keys can only be redeemed in one game per account so don’t get greedy thinking you can snag 4 keys and use one in each game as these codes are limited to one per ACCOUNT. To check out the in-game events in each of these Webzen titles, make sure to visit the Webzen Holiday page. 3. 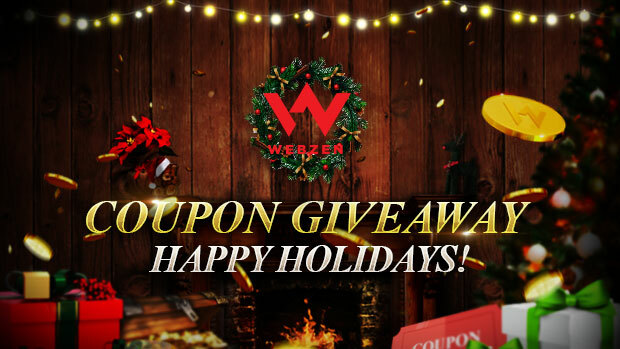 Go to the Webzen Coupon page, login to you Webzen account and enter your code. 4. Select the game, server, and character you want you gift pack to go to. 5. Log into that game and character and sort through the goodies you just gained! hey ,IDIOTS ,stop taking and posting the codes for a game you don’t want !!!!!!!!!!!!!!!!!!!! please give me a code ty! How are getting the key? I click the I am not a robot box and it disappears than nothing….never had this problem before but I have noticed the count drop by 3 now???!! If you need you can sure take it GHDMJJ4NMQHZTXWT! If you take it, generously say you’ve taken it. Without the spaces of course, Merry Christmas (Feliz Navidad) everyone! UPHAQVRBTMAZK7DV don’t see my last post so don’t know if it posted so one more time first come first serve. comment if you use the code so other people know.